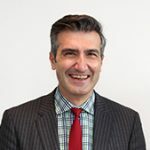 Dr George Grigoriadis is a consultant haematologist at Monash Health and Alfred Health, Senior Lecturer at School of Clinical Sciences, Monash University, and Co-Head of the Leukaemia Research Group in Hudson Institute’s Centre for Cancer Research. He is a recent recipient of a Victorian Cancer Agency Clinical Research Fellowship on the evolution of myelodysplasia. Through his involvement with Monash Health, the largest public healthcare provider in Australia (servicing 1,200,000 people) with a proven track record in blood cancer clinical trials, headed by Associate Professor Stephen Opat, he will work to translate his findings into improved patient outcomes. The Monash Health Haematology Research Unit consists of a clinical trials manager, five clinical trials coordinators, a secretary, a research assistant/ethics submission specialist and two clinical research fellows. The group has a decade-long record of successfully devising, resourcing, managing and completing multi-centre trials of novel therapeutics, including the management of such trials under the auspices of the Australasian Leukaemia and Lymphoma Group (ALLG). Identification of the critical role of NF-κB in Treg development, function and homeostasis. Defining c-Rel as a positive and negative regulator of macrophage gene expression. The role of stage-specific inflammation/immunomodulation in the evolution of myelodysplastic syndrome from low to high risk, and impact on therapeutic approaches.